Now available in more than 1,000 healthcare facilities around the world, The C.A.R.E. Channel’s stunning nature video and original instrumental music provide a therapeutic tool for use at the patient bedside, waiting areas, and public spaces in acute care hospitals, residential care facilities, hospices, palliative care units, cancer centers, children’s hospitals, and rehabilitation centers. We also produce a variety of options to access C.A.R.E. Programming in different settings and on different platforms. In addition, we provide educational resources and training for healthcare professionals. Our goal is to improve the patient experience by creating healing environments that reduce the harmful effects of noise, enhance pain management protocols, promote privacy, and increase safety and satisfaction. Every day, people tell us about the positive impact The C.A.R.E. Channel has had on them as patients, family members, and staff. It’s this feedback that motivates our employees to produce extraordinary programming and provide superior service to our clients. 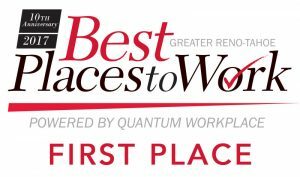 Included on INC Magazine’s list of 5,000 fastest growing companies in America in 2011, Healing HealthCare Systems has been named for four years straight as one of the Best Places to Work in Greater Reno-Tahoe by Quantum Workplace. We are also the recipient of a first place 2017 Existing Industry Award from the Economic Development Authority of Western Nevada (EDAWN) and a 2013 Family Owned Business Award from Nevada Business magazine.